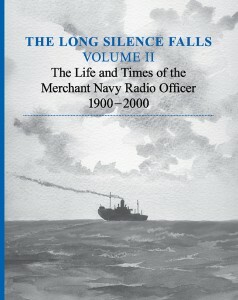 The waiting is over and the second volume of The Long Silence Falls is now available. As of mid September the book has been released less than a week and we have been almost bombarded in very complimentary reviews. The book is longer than the first volume at 376 pages and is only available in soft back. Cheques should be made payable to The Radio Officers’ Association. Non members (overseas) £30.00 reduced to £25.00 if you join. Due to sufficient back orders being placed Volume 1 (One) is being reprinted but only in small numbers. If you wish to purchase a copy we suggest you place an order quickly. Thanks for your on-going support and enthusiasm Dave. I think we will have some left by then but stock will be getting very low. It is not our intention to reprint as sales are slowing down significantly. The book has been successful beyond our wildest dreams. I think I can sell a few more at my local club’s rally on Feb 2 2014. Hope there are a few left in stock at that time! Regardless, congratulations on the conception and execution of the whole book idea – the recognition and publicity the Association has obtained through this has been enormous, and the profits useful too. Tony you’ll be glad to know that the Irish have received their delivery! Guess they were shipped on the slow boat. But a wonderful read. It will certainly generate a huge interest across the navy circles. No, I won’t mention a follow up! I can just imagine the amount of work that went into this, wow. 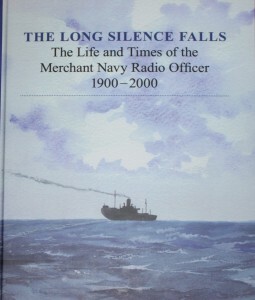 Hello Ian: Late response, been out sailing 3-months, that doesn’t deter me from requesting 1-copy please. Tks, Tony Sedman. I’d like 2 copies please ! Please put me down for two copies. Yes, please put me down for a copy. Would be interested in a copy. Please put me down for 2 copies. Many thanks. Hi, two copies please. One for myself and one for an ex R/O – not a member but I’m working on him. Please put me down for 2 copies. Two copies for me please Ian. As advised to Tony. Looks good – put me down for a copy, please. Ian, Please put me down for one copy. Put me down for one copy please. Remember I am “an Upside down” member and don’t mind paying the extra postage. put me down for one copy – makes fine bedtime reading! Would like a copy. Looking forward to reading it. QSO is always a good read. Please log me in for 25 copy of QSO – bulk order. One for me please Ian. Please put me down for a copy of the best of QSO.